How-To : Minimal Ubuntu Install, LibreOffice, and GRUB2. Graphics : Blender and Inkscape. plus: Q&A, Security, Ubuntu Games, and soooo much more. 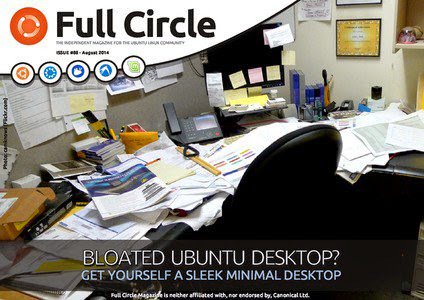 ALSO: Don’t forget to search for ‘full circle magazine’ on Google Play/Books.